Richard W. Schuch joined CBRE in 2013 as Senior Vice President upon the sale of Fameco Real Estate, L.P., the Philadelphia region’s leading retail brokerage firm specializing in retail real estate and the shopping center industry. Rick joined Fameco Real Estate in 1998 as a sales associate. In 2007, he was named Partner of Fameco Real Estate, L.P.
On the tenant side Rick has worked with national retailers such as Panera Bread, Chipotle, Pier 1, Best Buy, Chico’s, White House/Black Market, Texas Roadhouse, Noodle's, sweetgreen and Five Below, among many others. 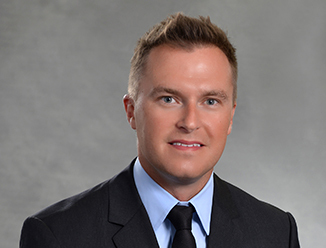 In addition to his tenant representation work, Rick has been responsible for a number of ground up leasing projects including Southmont Center (Bethlehem - 450,000 SF), Palmer Town Center (Easton - 250,000 SF) and Southampton Village (Feasterville - 50,000 SF). Rick has assisted retailers in their expansion throughout the Northeast, including brokerage work from Virginia to Maine as representative of Five Below. Rick was responsible for initiating Fameco’s relationship with the country’s second largest TIC sponsor, SCI, which has developed into a 1 million square foot asset and property management portfolio. Additionally, Rick has taught quarterly retail real estate classes at the Art Institute of Philadelphia, as well as serving in an informal mentor capacity for years at Fameco. Prior to joining Fameco, Rick worked in Central Pennsylvania for both Bennett Williams Realty and LMS Commercial Real Estate. Through Rick’s retail real estate career he has completed more than 800 transactions.